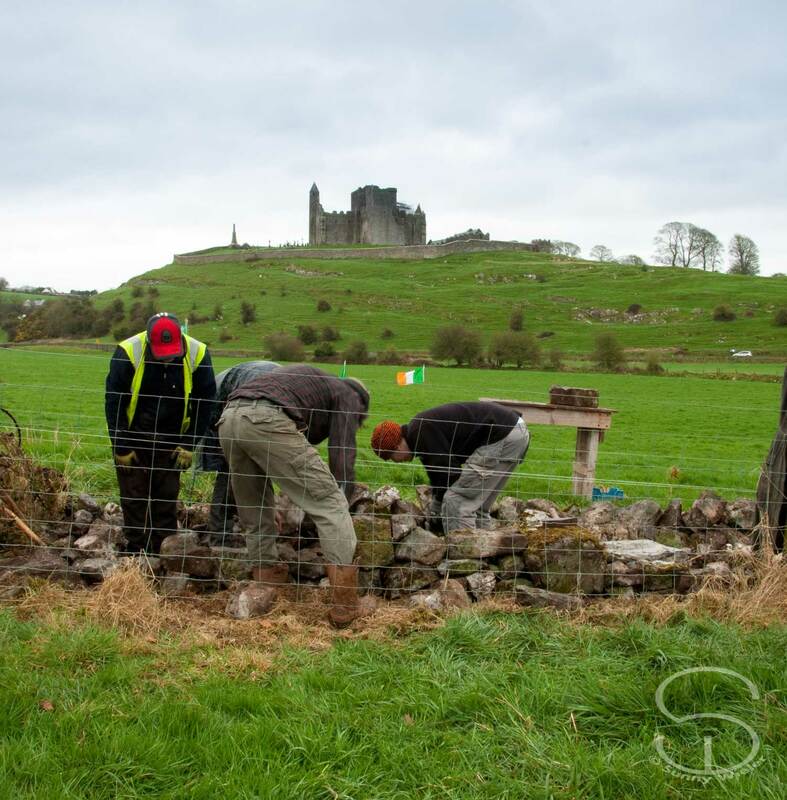 Preserving and promoting our dry stone heritage. 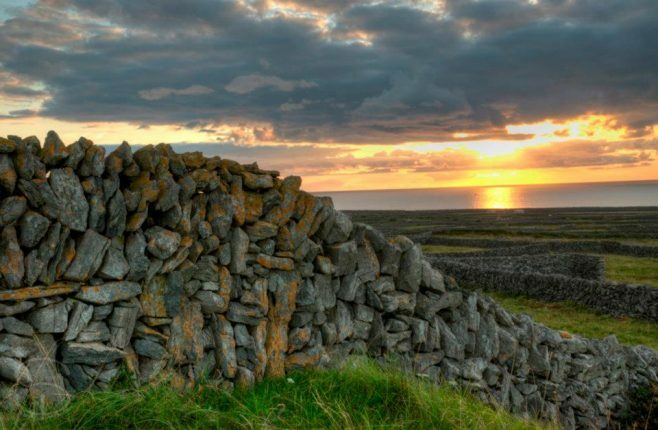 The tradition of dry stone walling in Ireland goes back to the early Neolithic period. The dry stone wall field systems built at this time the earliest known dry stone walls in the world. 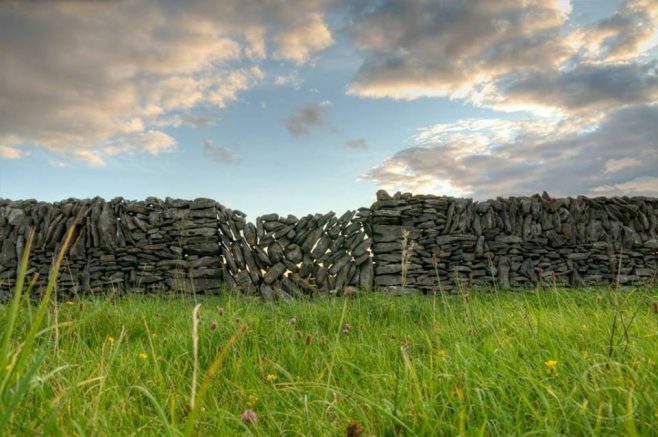 Dry stone walls can be found right across the island of Ireland, however many of these have disappeared over the years, mainly due to modern agriculture as well as the lack of the craft being passed onto future generations so that they may be enabled to maintain these walls. Myself being a stonemason and an artist, I have long admired these wonderful old walls. 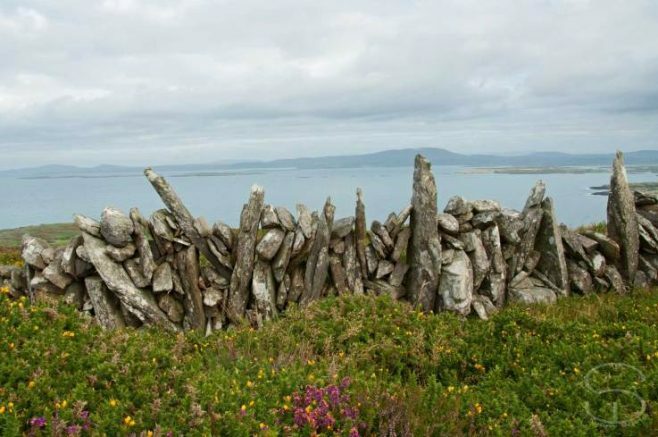 Eager to be more involved in or dry stone heritage I became affiliated with the Dry Stone Wall Association of Ireland (DSWAI) in 2011. 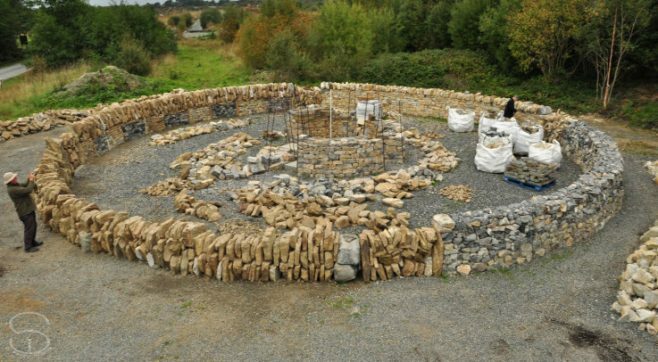 The Dry Stone Wall Association of Ireland is a non-profit organisation devoted to promote a greater awareness and appreciation of the craft of building with dry stone in Ireland. Although the organisation is still in its infancy (set up in 2009) In the two years I have been involved in the DSWAI I have seen it rapidly grow in strength and members. A true testament that there are still many passionate about our dry stone heritage and eager to learn the skills to be a part of this age old craft. For me, the highlight to date for the DSWAI has been ‘The Gathering of Stones’ dry stone monument we have begun building with volunteers this past summer. It has been wonderful to see so many people from all walks of life come together to celebrate dry stone heritage, helping preserve our rich dry stone heritage as well as giving dry stone construction a place in our future. 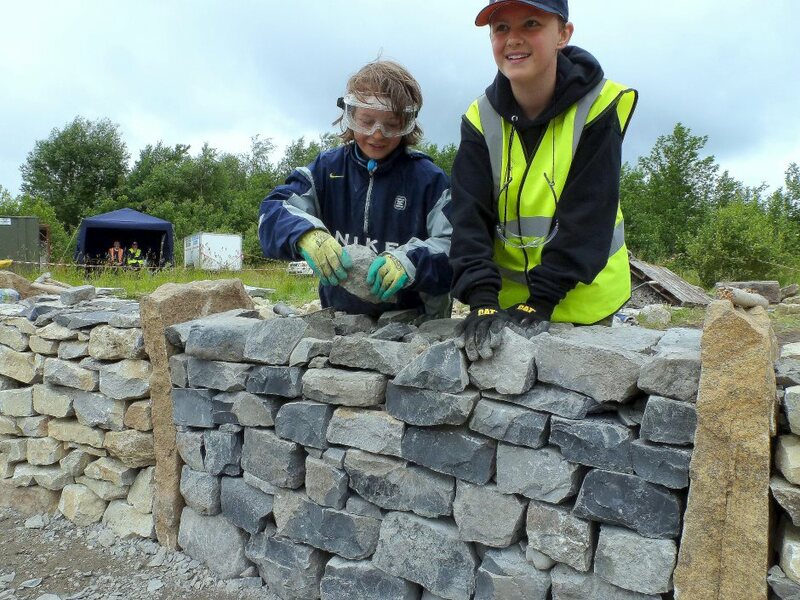 Future masons Óisín and Jacob build a bay for Connaugh during The Gathering of Stones event.